Khao mun ghai at Hawking Bird. Few Oakland restaurant closures caused as much devastation as Hawker Fare. James Syhabout’s seminal Thai Isaan and Lao eatery in Uptown Oakland closed in February when the building was sold — Syhabout chose to leave before getting pushed out. But there was a glimmer of hope all along. He told reporters he hoped to open something else like Hawker Fare in Oakland in the future. That “something else” opened today: Hawking Bird (4901 Telegraph Ave.), a fast-casual spot centered on khao mun ghai. 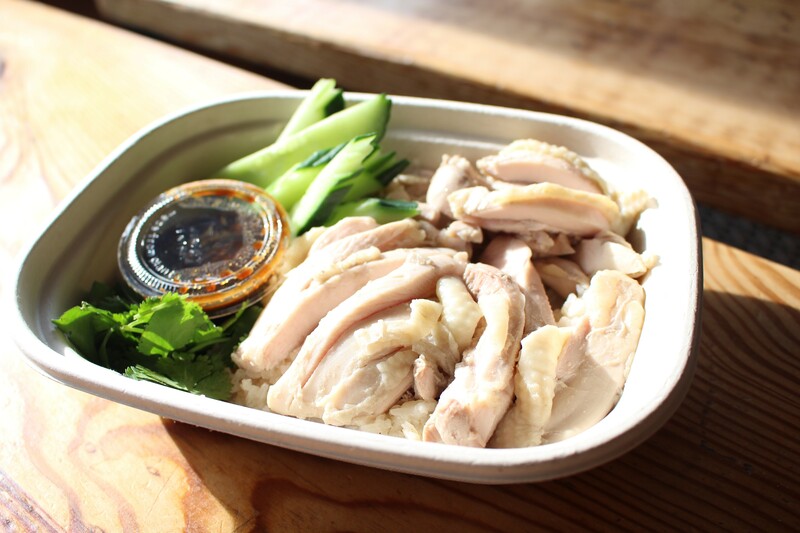 Khao mun ghai is the Thai poached chicken and rice dish that many East Bay diners first fell in love with at the original Hawker Fare. At Hawking Bird, it comes with cucumber, cilantro, and a gingery fermented soy bean sauce and costs $11.95. You can ramp it up with a crispy fried egg or a bowl of chicken broth. 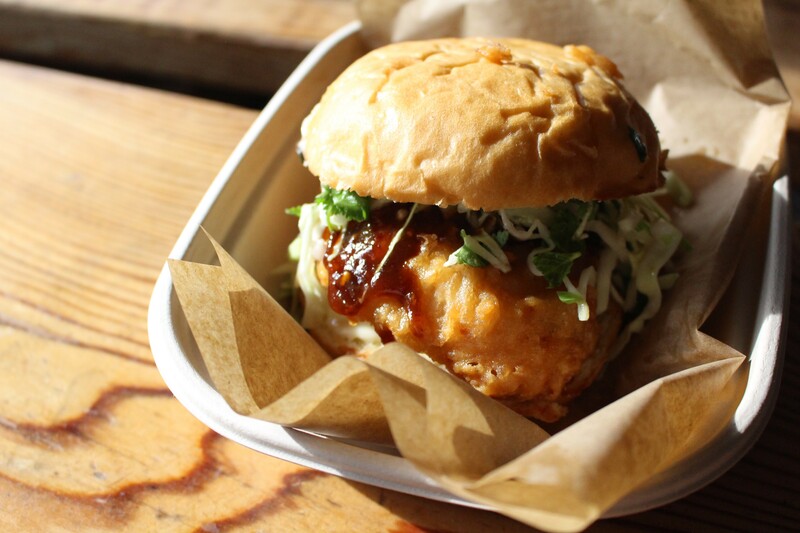 The Hawking Bird is a fried chicken thigh, here served in sandwich form. Otherwise, Syhabout keeps the offerings short: chicken double fried in rice flour or a tofu equivalent served as a sandwich, over rice, or in a salad. There are also extras like tater tots, garlic noodles, and pickled vegetables. The Temescal space was most recently Blackwater Station, and the general layout remains the same. Teal, white, and yellow paint keep the look fun and funky — just as you’d expect from a Hawker Fare spin-off. For now, Hawking Bird is only open for lunch from 11:30 a.m. to 3 p.m. Tuesday through Saturday until Blackwater Station’s liquor license transfers over. Then, the restaurant will open for dinner with its mighty impressive full bar.